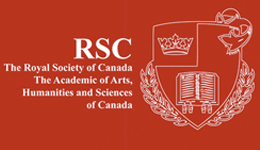 The Royal Society of Canada (RSC) has elected two professors from York University's Faculty of Liberal Arts and Professional Studies (LA&PS) to its ranks as Fellows. The Faculty’s newest members of the RSC are Professors Wenona Giles and Joan Judge. In addition, Professor Paul Sych from the School of the Arts, Media, Performance and Design and Osgoode Hall Law School Professor David Vaver were also elected as Fellows. Lassonde School of Engineering Professor John Moores has been named a member of the RSC’s College of New Scholars, Artists and Scientists. Learn more about all the 2018 RSC inductees from York University in YFile.